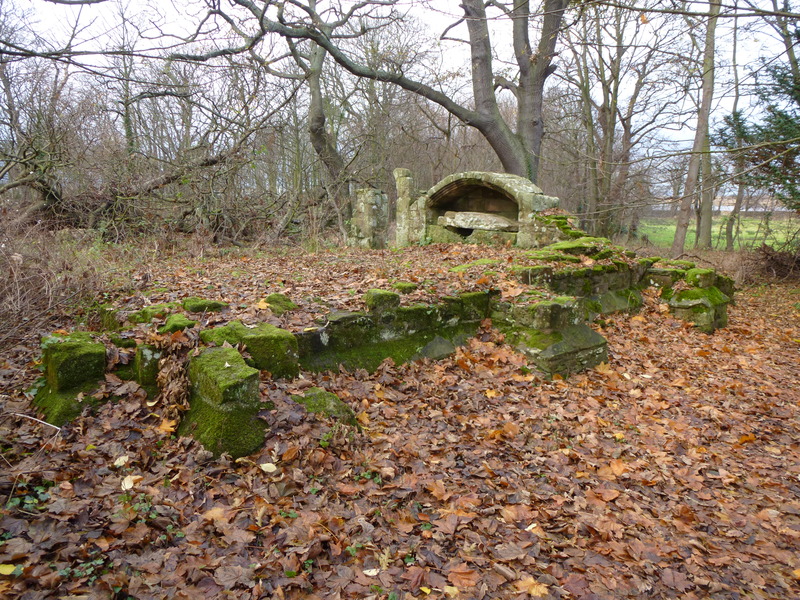 The ruins of Luffness Friary sit in woodland just to the east of the historic little town of Aberlady. The path to the site starts on a quiet cul-de-sac, but is not easy to find. 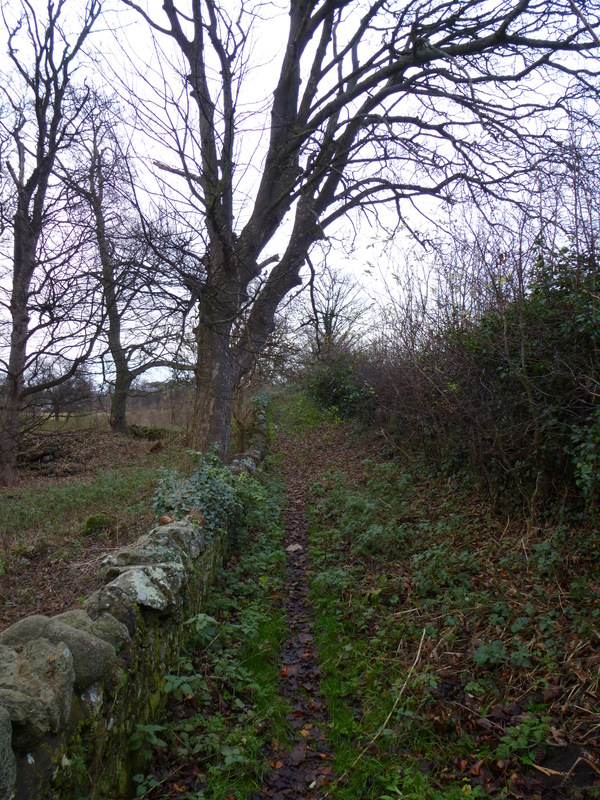 I started badly, taking the wrong gate and ending up in a muddy field, the track clearly visible on the other side of a stone wall. After an unsuccessful attempt to find the proper route, I finally clambered over the wet, slippery wall, the fastest (but also messiest) option. The woods of Luffness are strange. 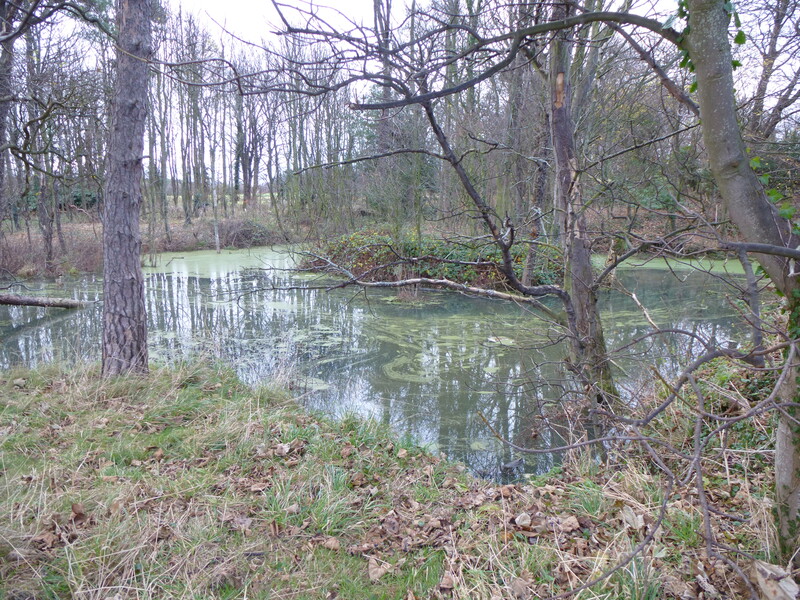 As you enter them you will come across a large pond, its water bright green with algae, the skeletons of dead trees emerging from the water. It’s a quiet place, rarely visited and slightly eerie. It doesn’t take long to find the foundations of the Friary itself. Little is known about its history, although it is clear that it was a Carmelite community. It first gets a mention in written records in the early 14th Century, but the remains themselves suggest a much earlier date. The most striking part of the ruins is the knight’s tomb, a well-worn effigy of a medieval nobleman lying under a pointed arch. The identity of the subject is long forgotten, although local tradition claims that it is one Bickerton, a standard bearer to Sir William Douglas who turned traitor on his master at the Battle of Otterburn in 1388 and later met a grisly end. 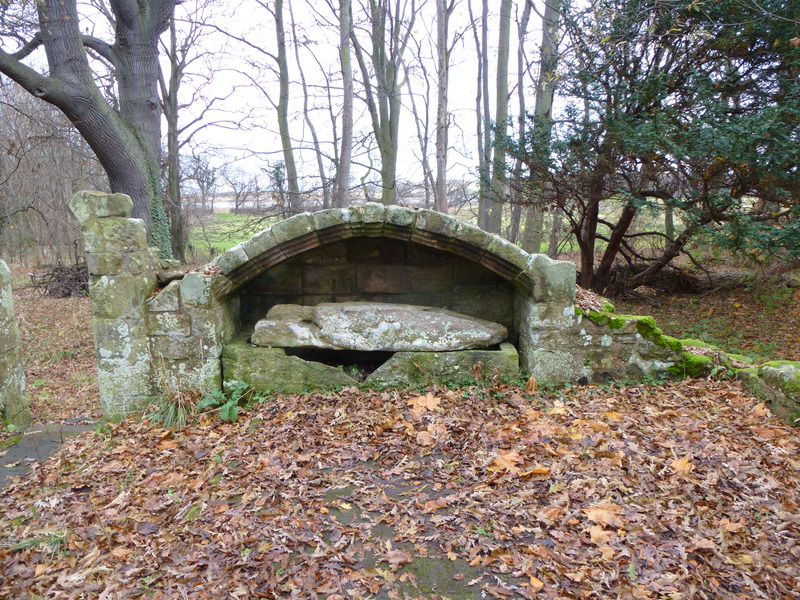 Others say it is Henry de Pinkey, a local landowner who supported Robert the Bruce during the famous Wars of Independence in the early 14th Century. Whoever he was, the wide cracks in the tomb reveal that his mortal remains are now long-gone. 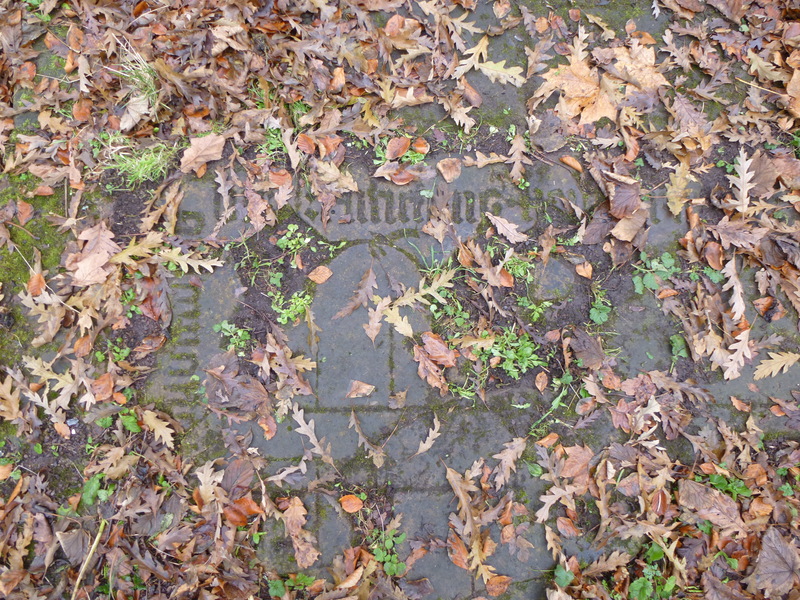 While investigating the tomb, I also noticed below the fallen leaves the intricate carvings and inscriptions which survive on the floor of what was once the church. On the day of my visit a huge fallen tree lay across the ruins, its elaborate roots exposed to view. In amongst the network of roots and lumps of damp earth I spotted the glittering shells of oysters, the remains perhaps of medieval monkish meals. 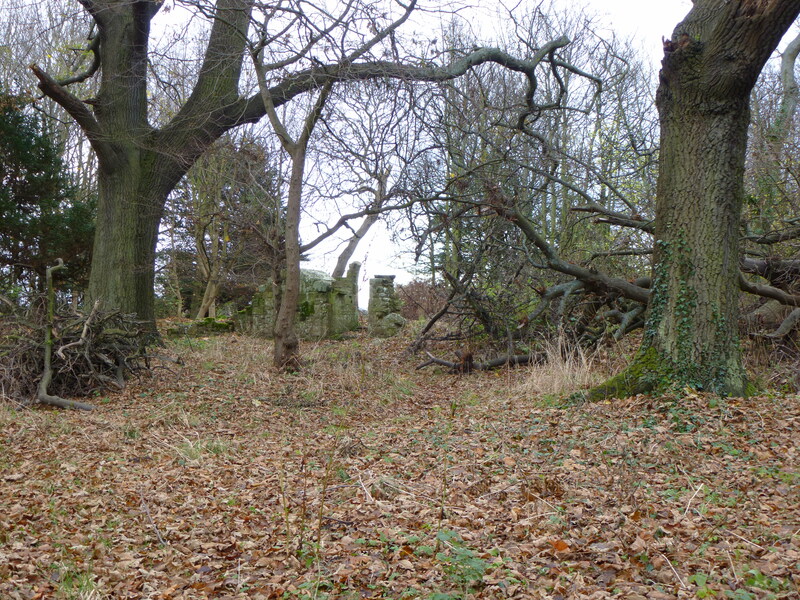 Not much else of the priory is extant, the foundations either lost or hidden below the forest floor, although the dip of its now empty fish ponds can be seen in a nearby field. On the other side of the woods stands Luffness House, a grand mansion which sits on the site of a much earlier castle, still a private home. The whole area is filled with reminders of an eventful history. The fact that so much of this history is now lost or forgotten, with tales and legends inevitably emerging to fill in the gaps, only seems to add Luffness’s incredible air of magic.